CPT’s Mark Spivak, along with his Dog Project cohorts Peter Cook and Gregory Berns, authored a paper published in the esteemed journal, Animal Cognition. 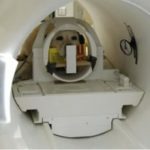 The article, entitled “Neurobehavioral Evidence for Individual Differences in Canine Cognitive Control: An Awake fMRI Study,” examines inhibitory control behavior both with a task performed within an fMRI machine and during a field study. The famous Stanford Marshmallow Test found that impulse control is highly correlated to the success of humans. Humans with superior inhibitory control abilities score higher in SATs, achieve higher GPAs, earn higher incomes, and are less likely to be convicted of crimes. Likewise, dogs with superior impulse control are more likely to make pleasant pets, succeed in working roles, and behave well with humans and conspecifics, whereas those with inferior cognitive control are more likely to exhibit separation anxiety and out of context aggression to people or dogs. Consequently, a superior understanding of inhibitory control is vital to matching pet dogs with prospective purchasers or adopters and to identifying optimal candidates for law enforcement, military, or service dog positions. The paper documented some significant accomplishments by the research team. First, using neuroimaging the team located the area in the frontal cortex of the dog’s brain most important to inhibitory control. Second, the team showed that inhibitory control is consistent amongst tasks, as the dogs that demonstrated the greatest inhibitory control in the Go/No-Go task performed within the scanner environment also scored best in the A-not-B Test conducted in the field (the CPT training building). Thus, dogs that exhibit great self-control in one context are highly likely to exhibit generalized self-control. Conversely, dogs that exhibit low inhibitory control in one context are highly likely to show comorbidity with other contextual examples of low cognitive control and dysfunction. The Dog Project Team has many other terrific studies forthcoming, including experiments that examine: a) whether dogs prefer food or praise- the results may surprise you, b) expectation violations, c) jealousy, d) cross sensory interactions, and e) temperament differences related to the frequency of false-positives in scent detection dogs.